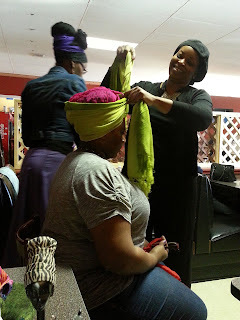 Yesterday I had the opportunity to attend a scarf workshop that I heard about back in December. 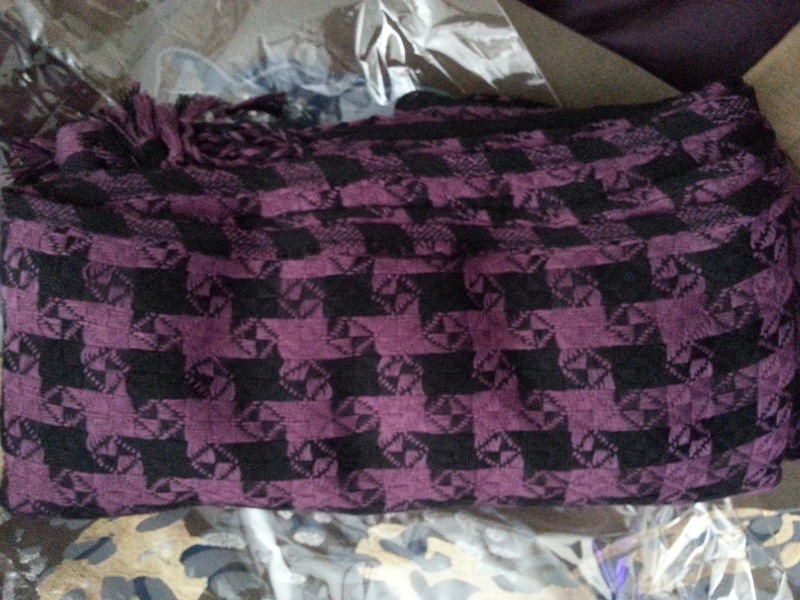 As a scarf conessuoir I enjoy collecting them but as far as wearing them, I'm afraid my range is limited to just wearing them around my neck. 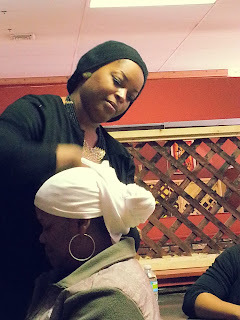 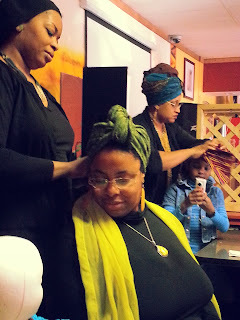 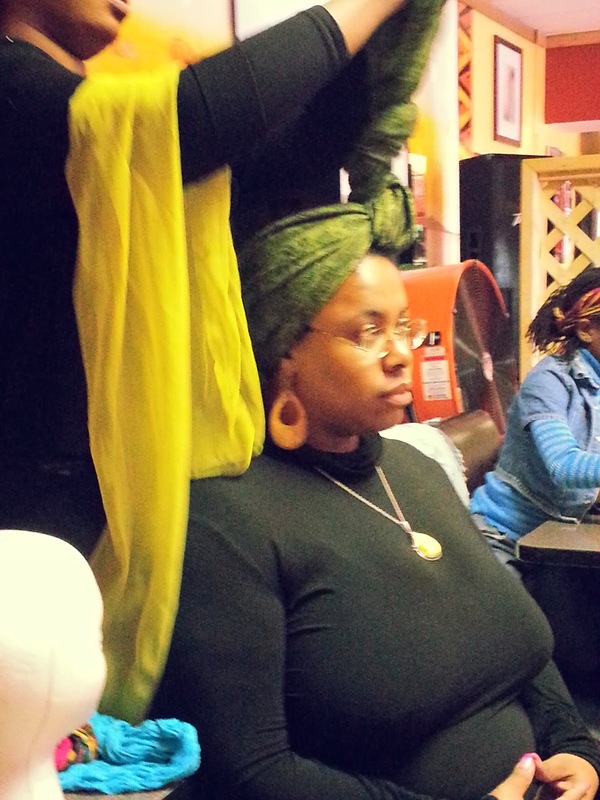 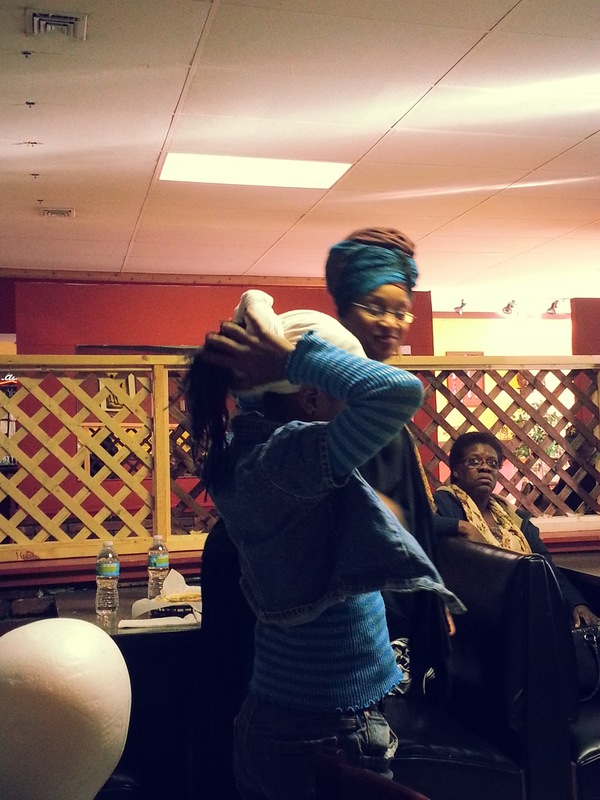 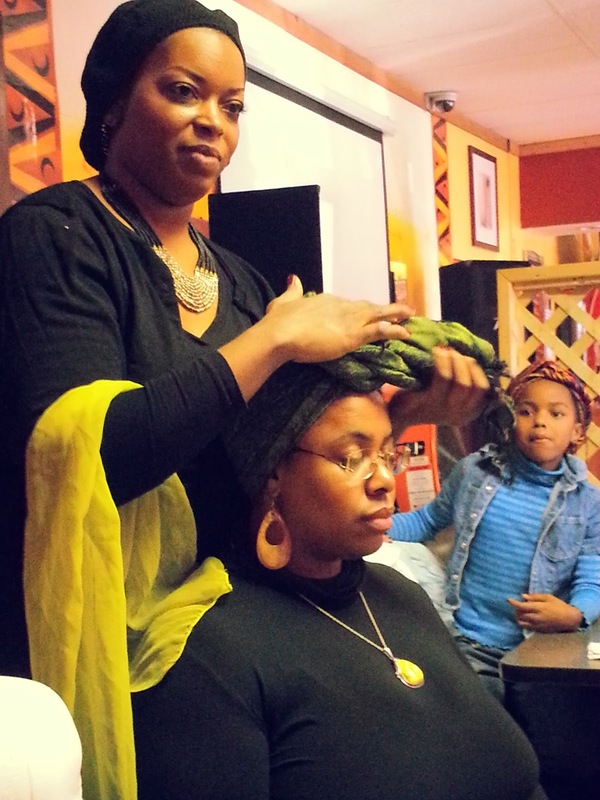 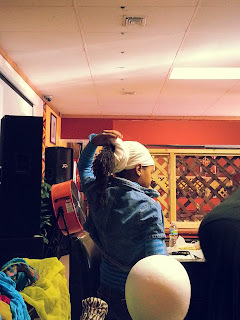 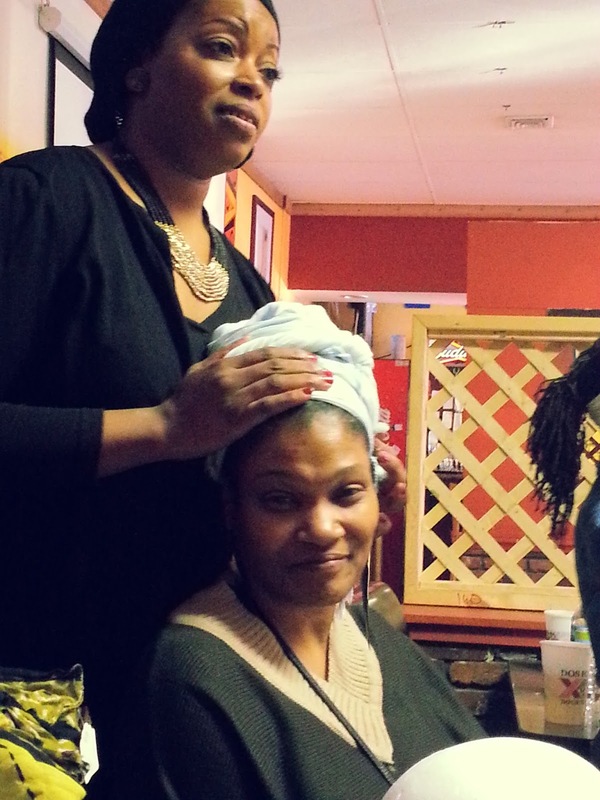 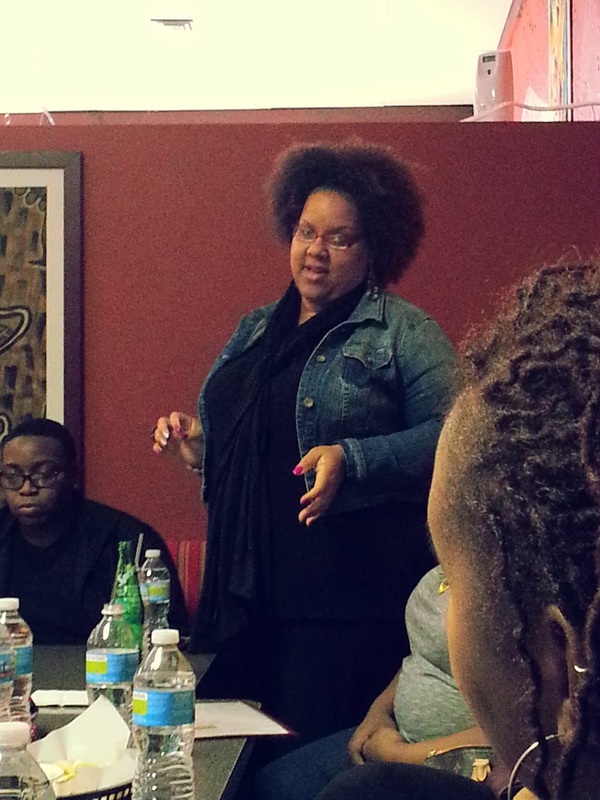 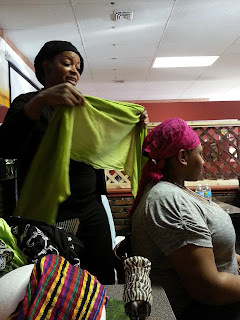 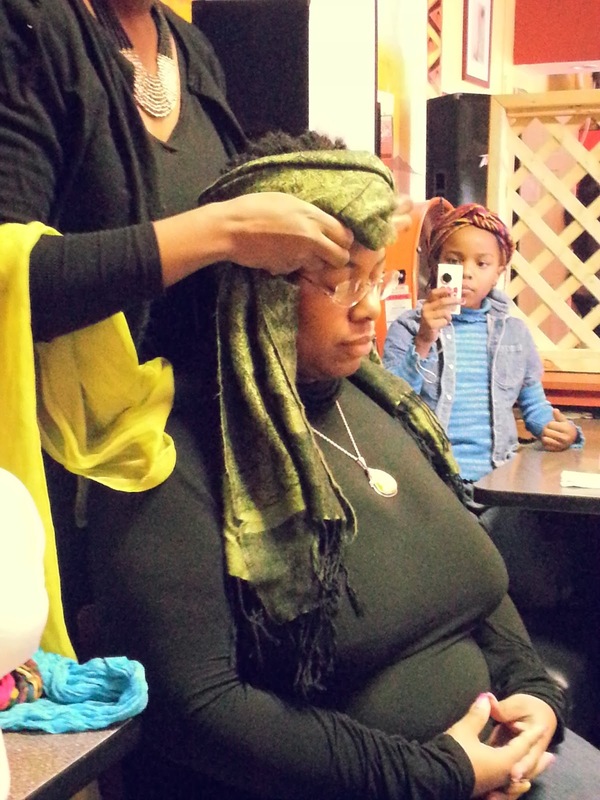 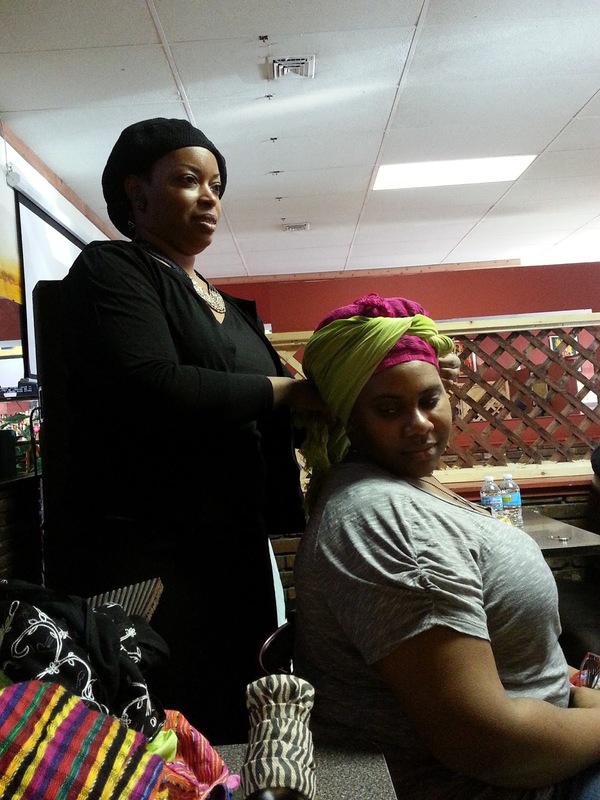 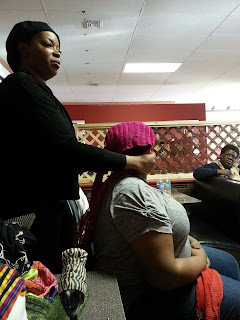 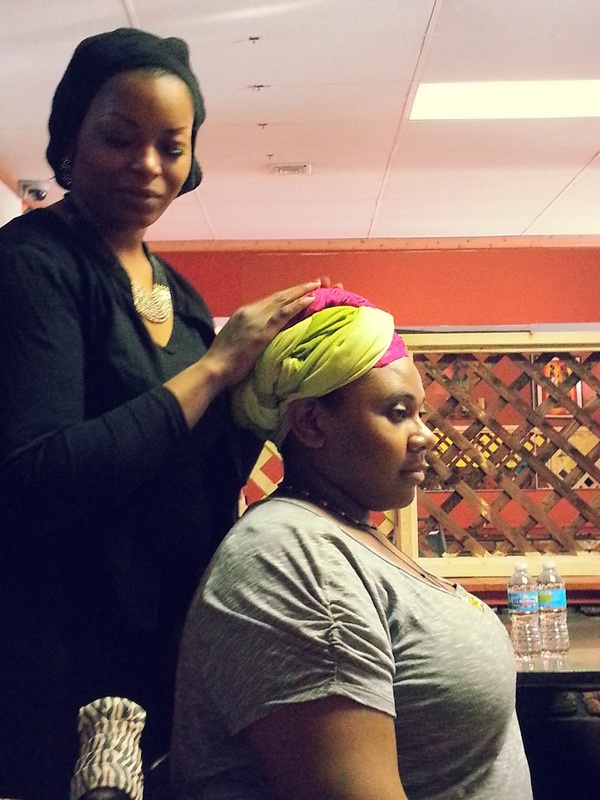 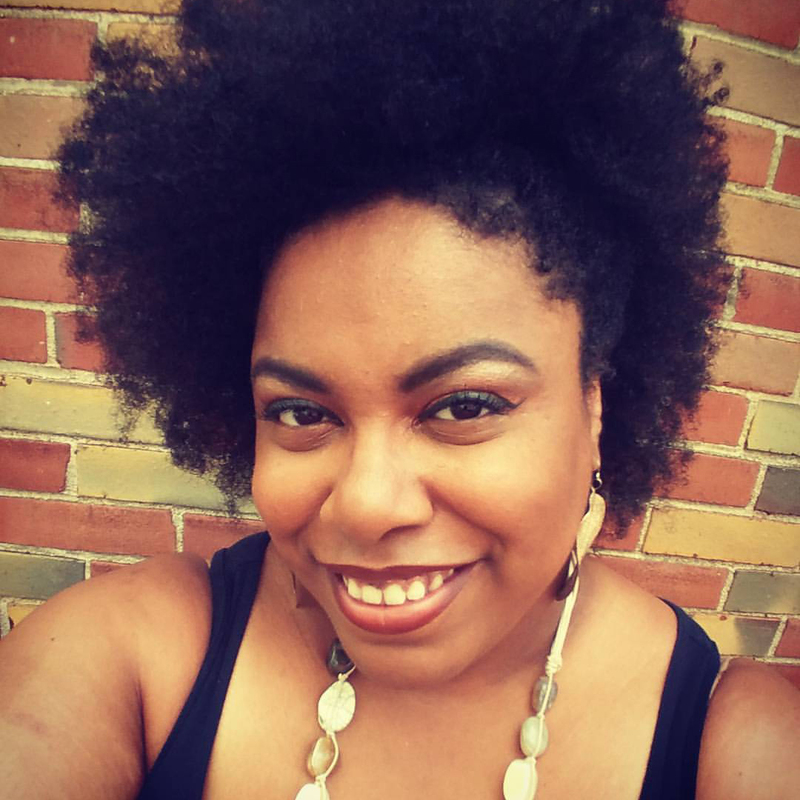 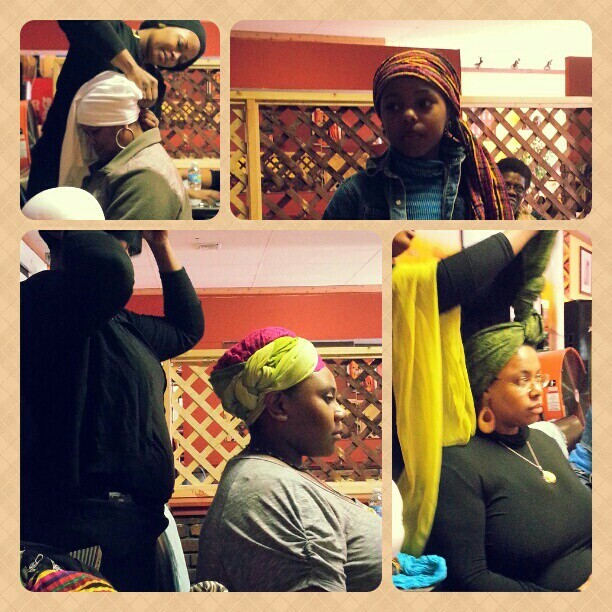 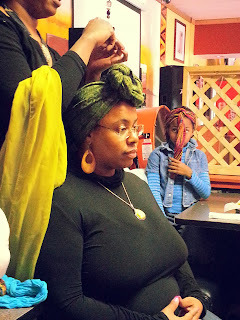 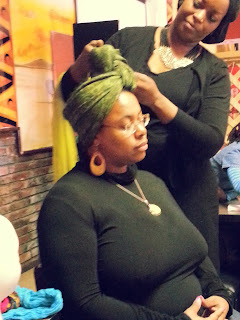 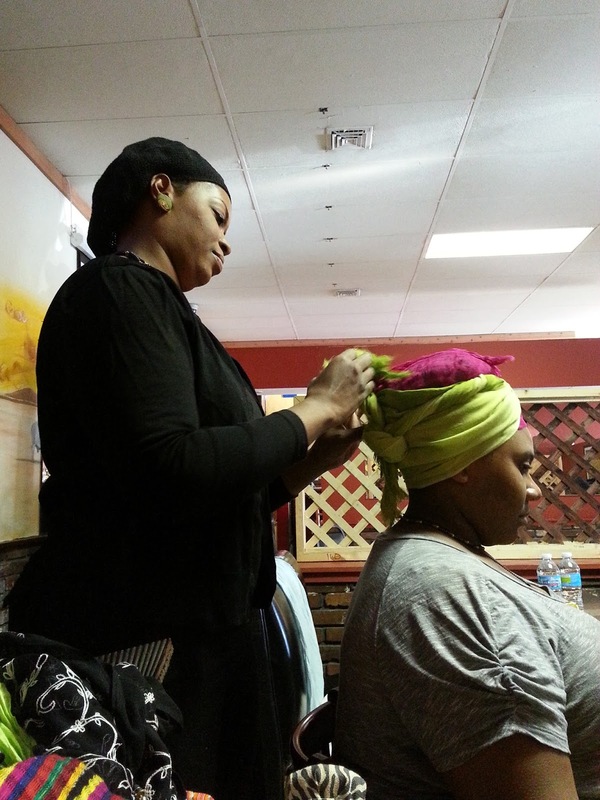 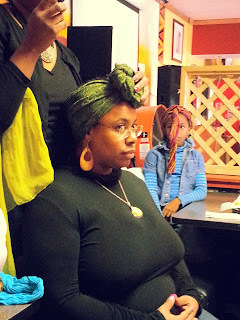 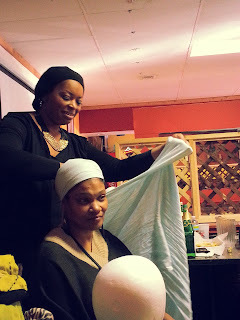 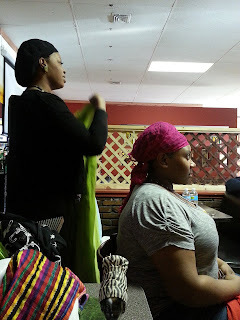 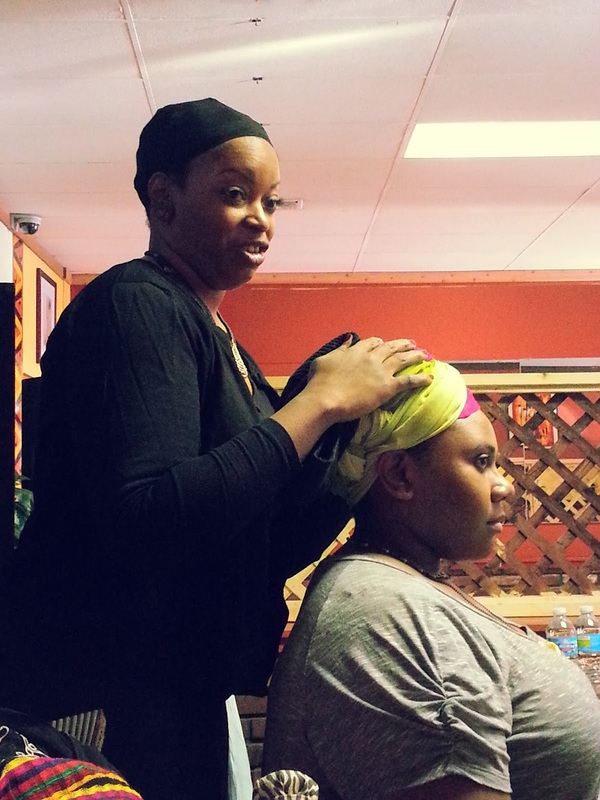 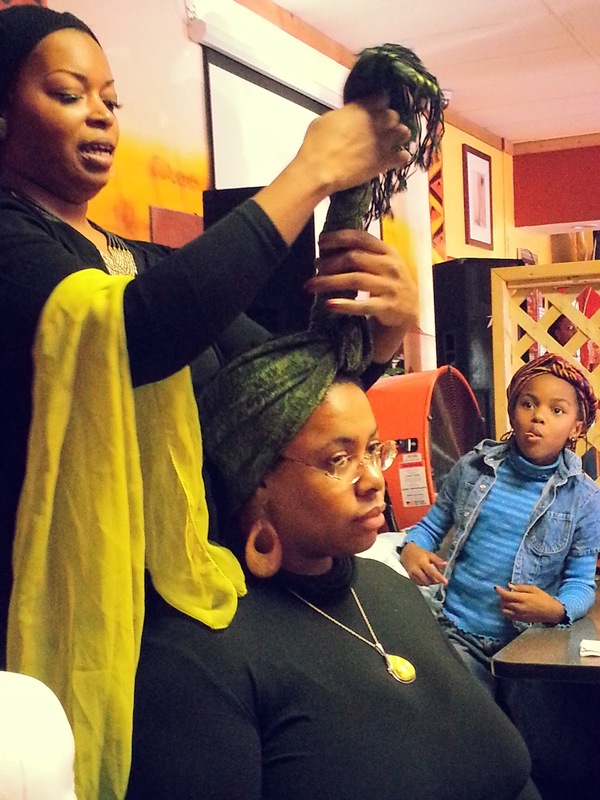 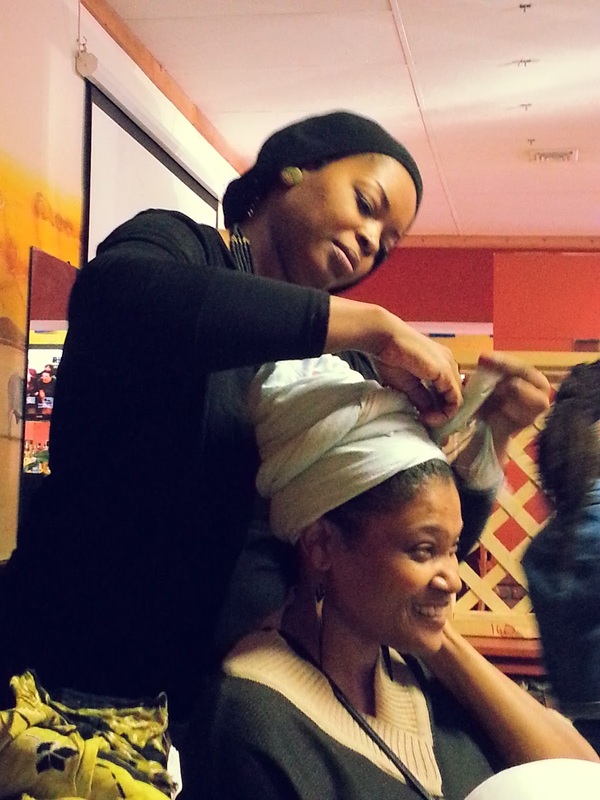 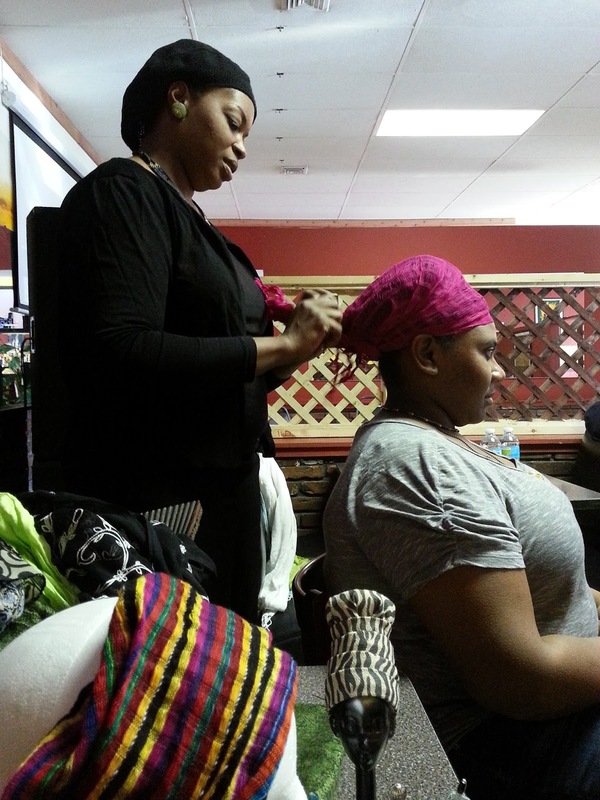 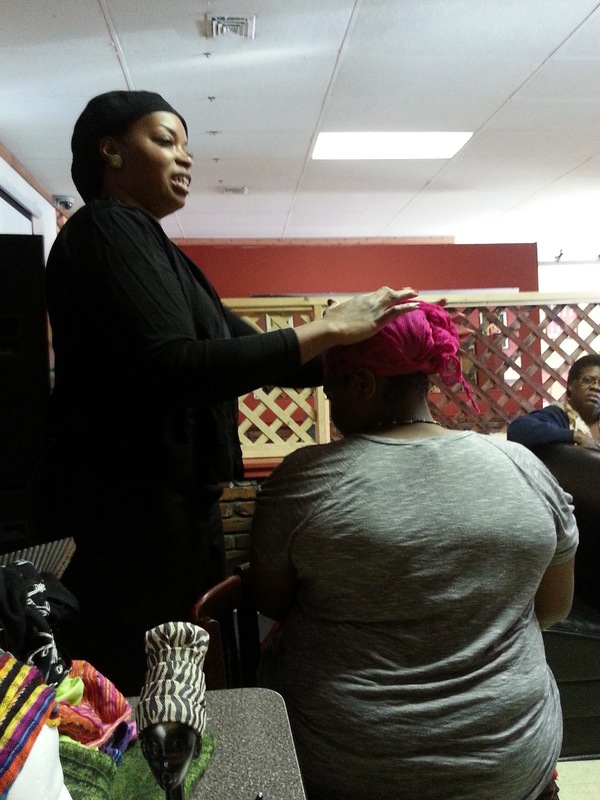 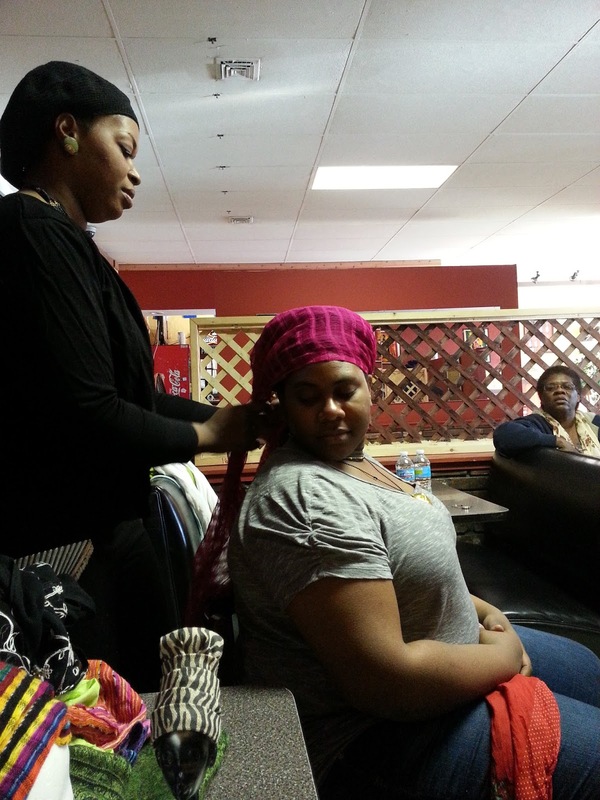 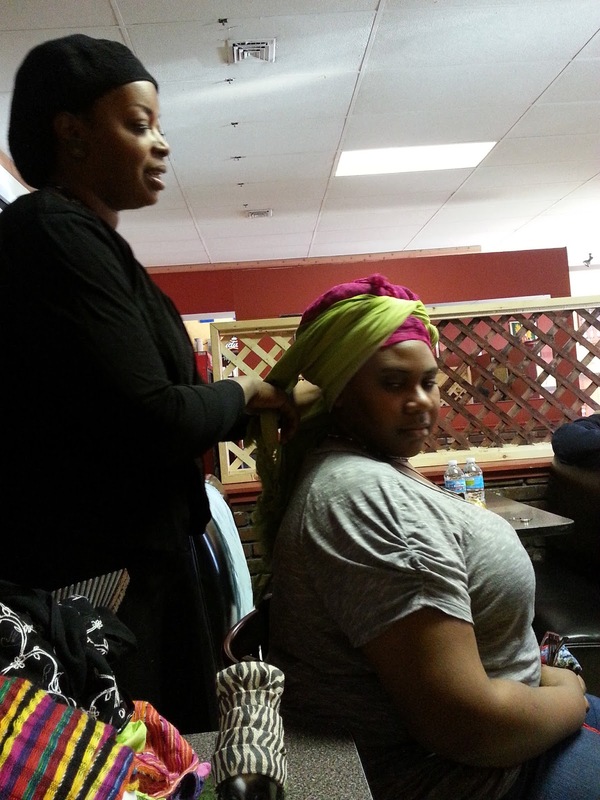 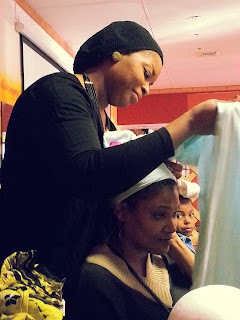 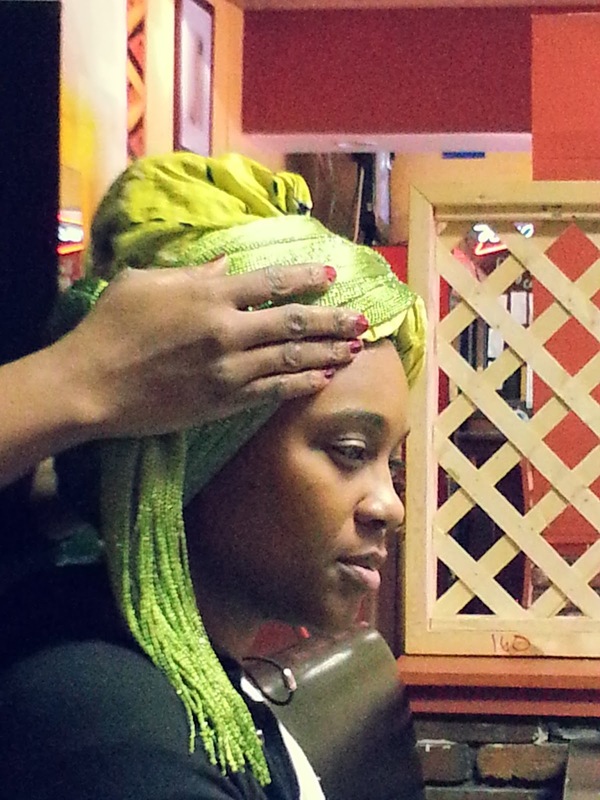 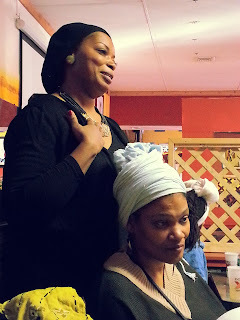 So I found out about this workshop through one of my natural hair groups via facebook, Show Me Naturals. 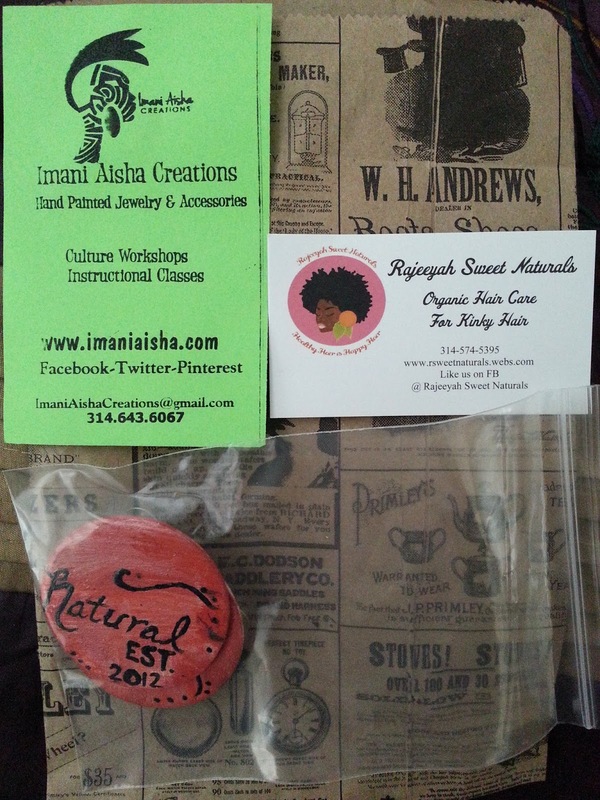 I signed up for the workshop via Meetup and paid my $10 fee online. 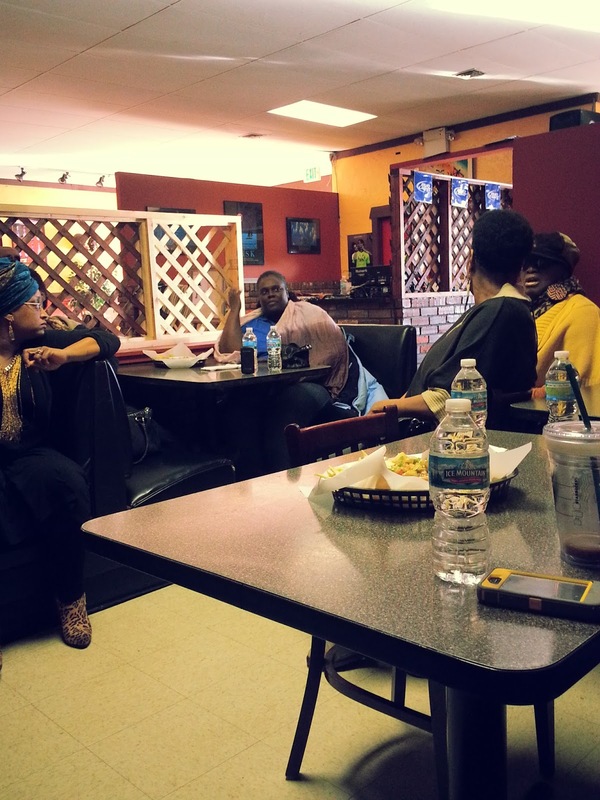 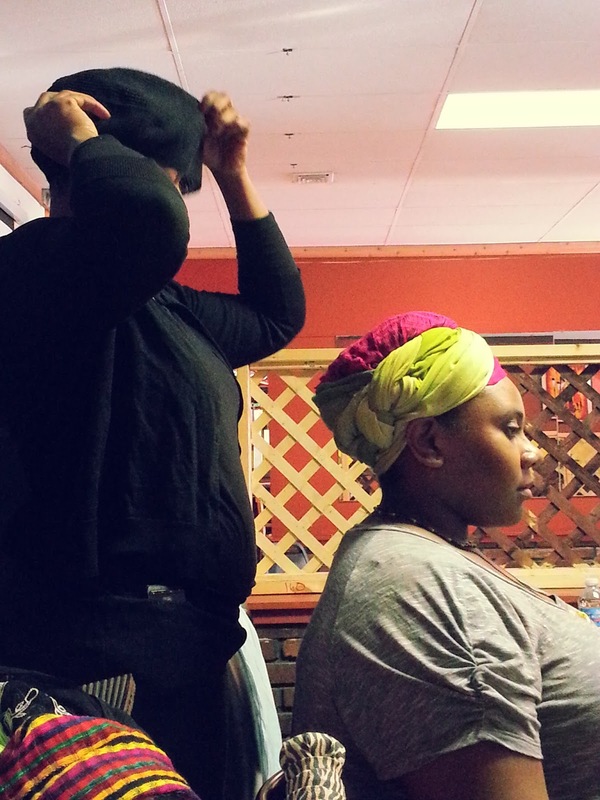 The meeting was held out in Florissant, Missouri at a restaurant called Tam Tam. 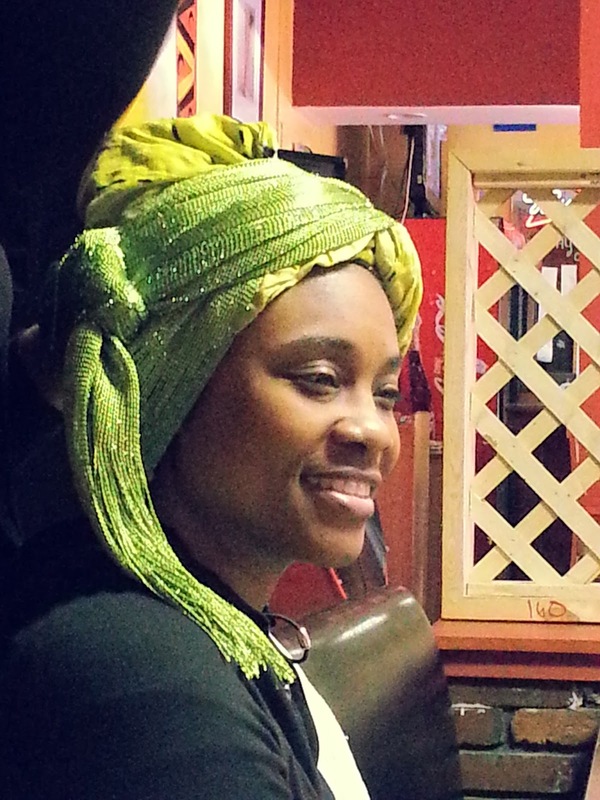 It's specializes in African cuisine. 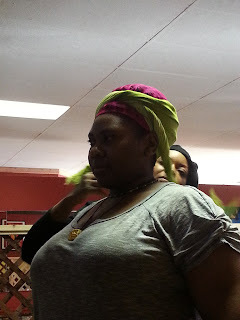 The workshop was scheduled to start at 3pm so I arrived around 2:50pm. 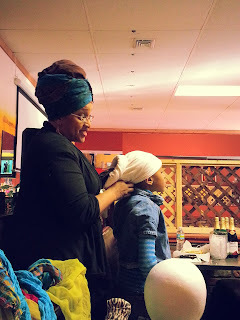 I was the first to arrive so the hostess Imani Aisha, instructed me to make myself comfortable and I did just that. 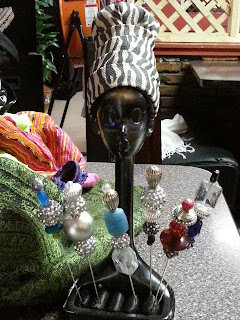 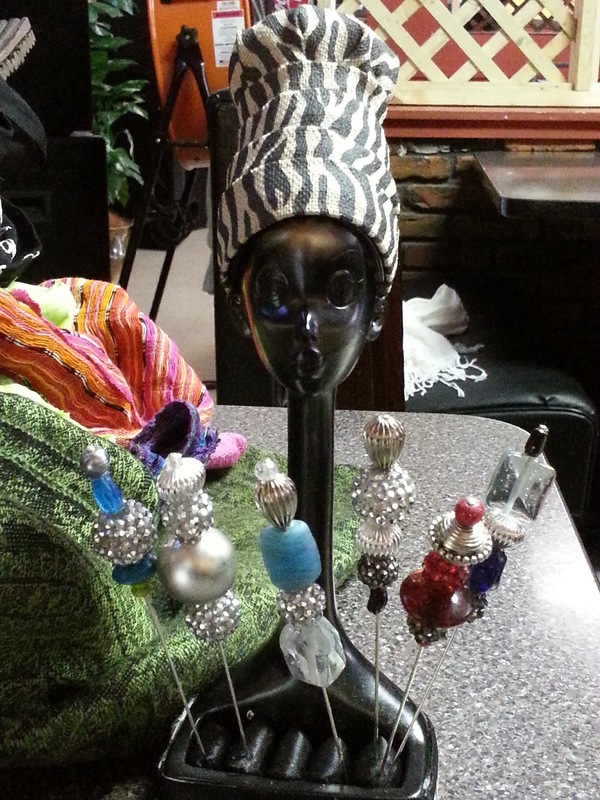 I examined some of the scarves she had out for sale as well as some of the jewelry. 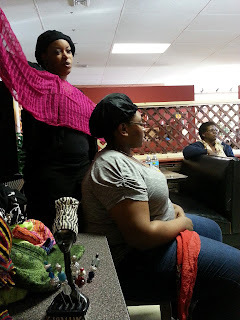 Shortly after my arrival more people started to come in and within a short while around 3:15pm we all were seated in a bigger space and the workshop began. 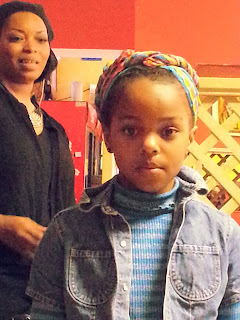 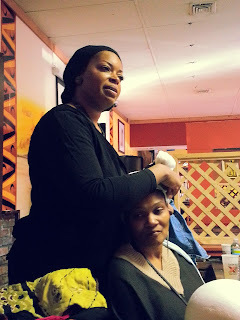 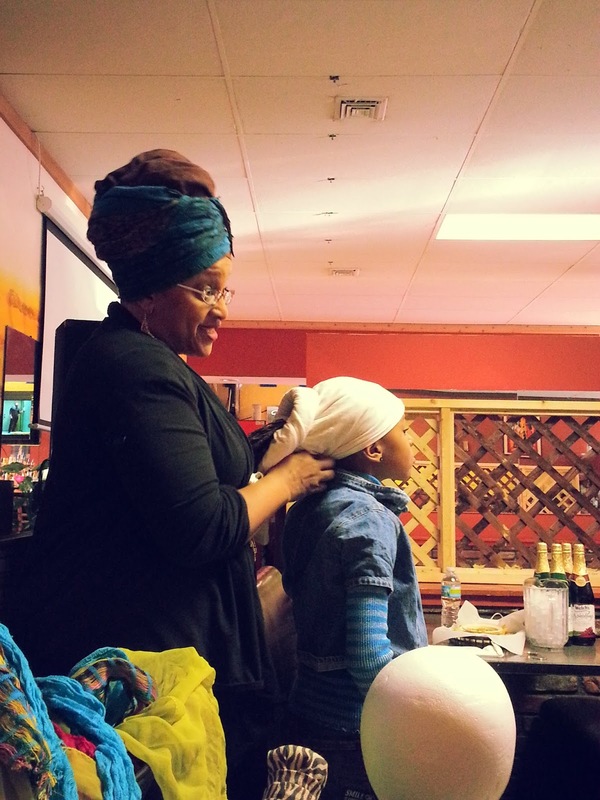 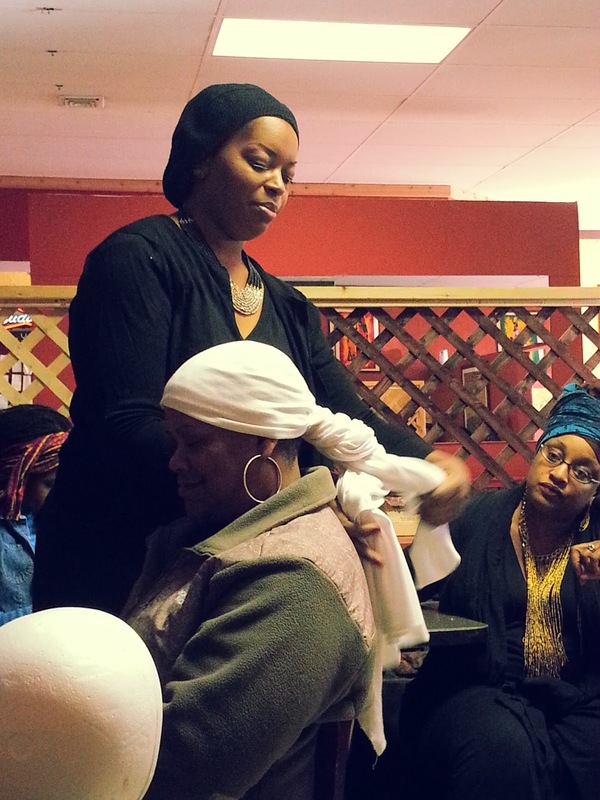 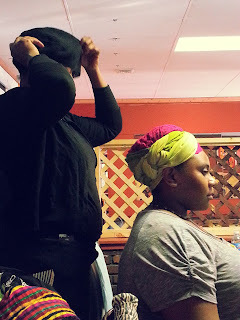 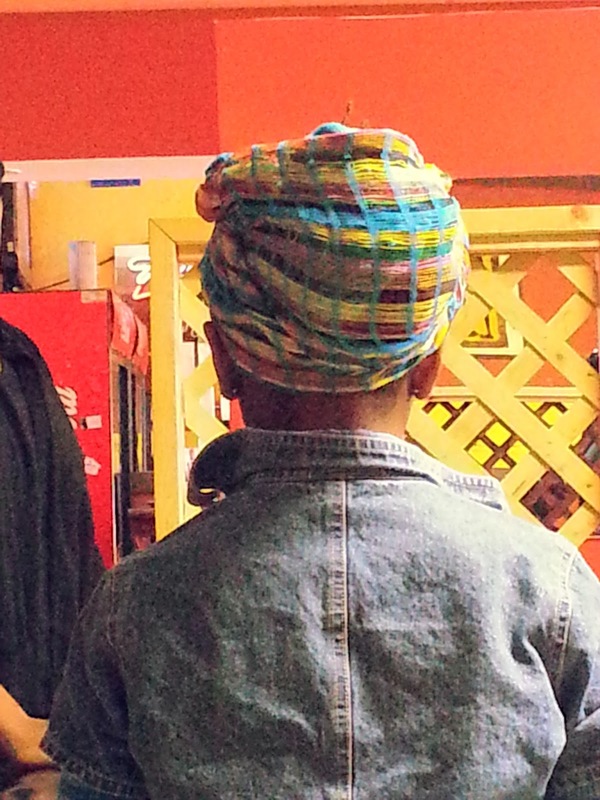 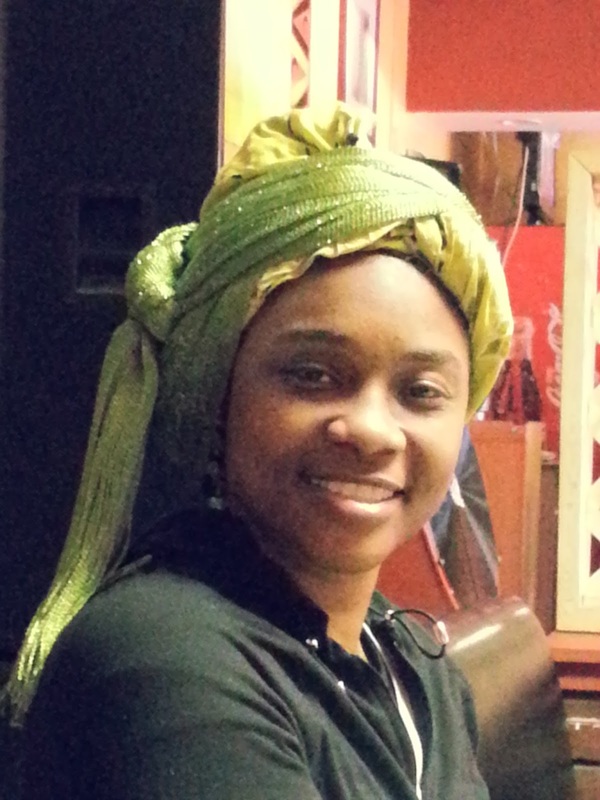 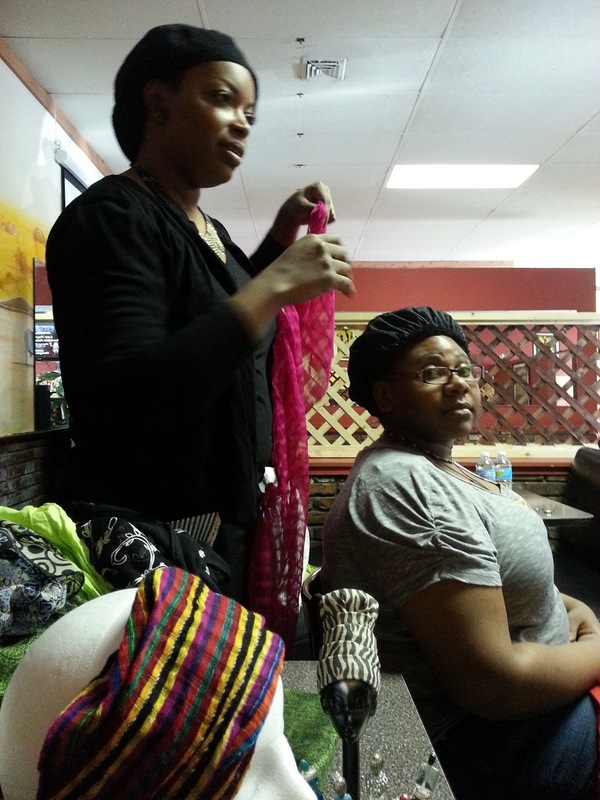 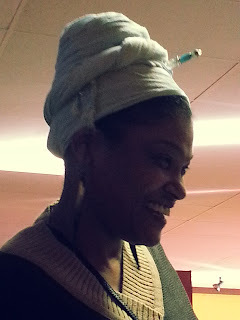 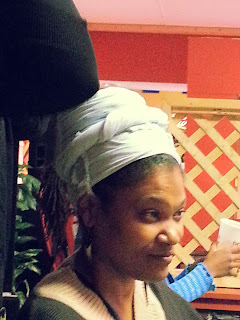 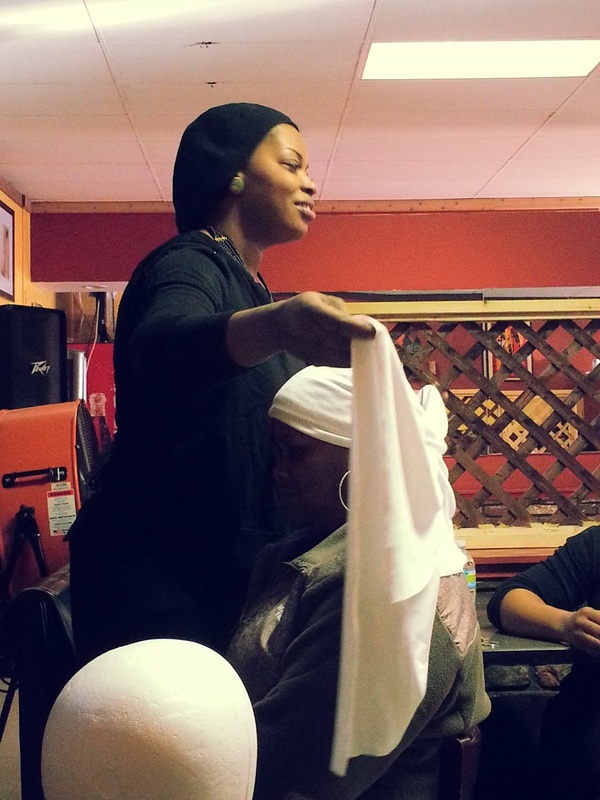 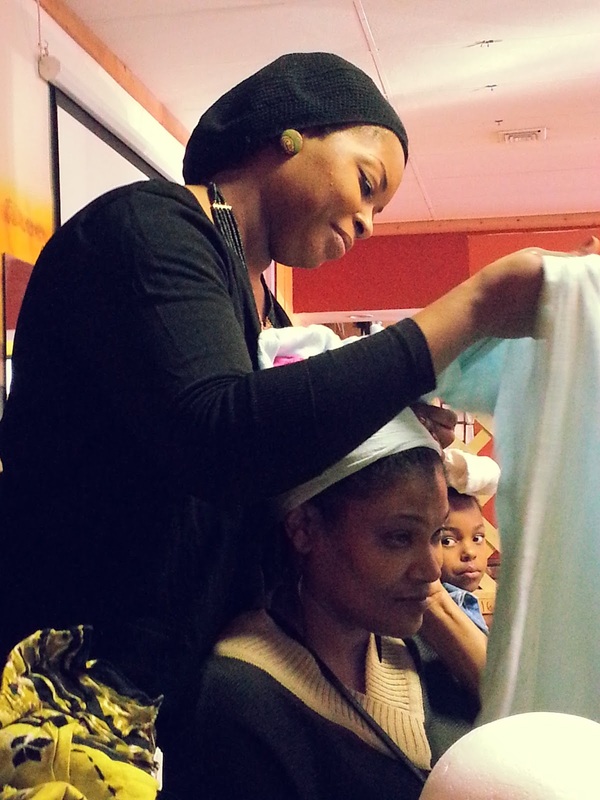 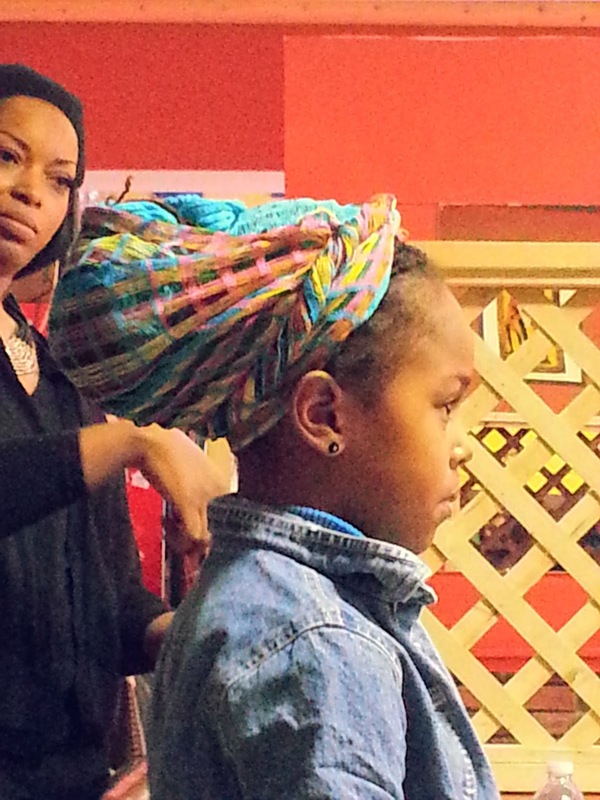 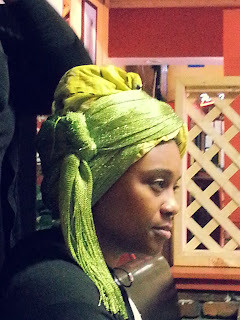 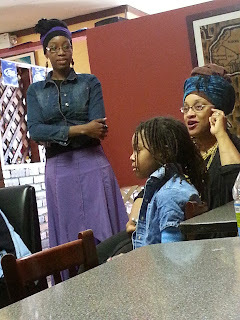 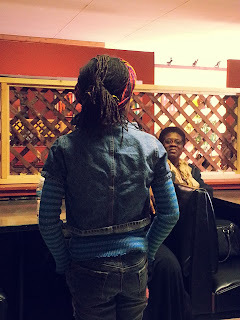 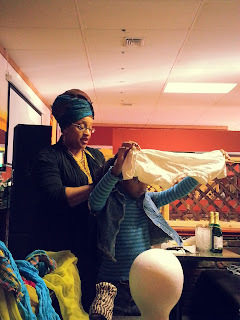 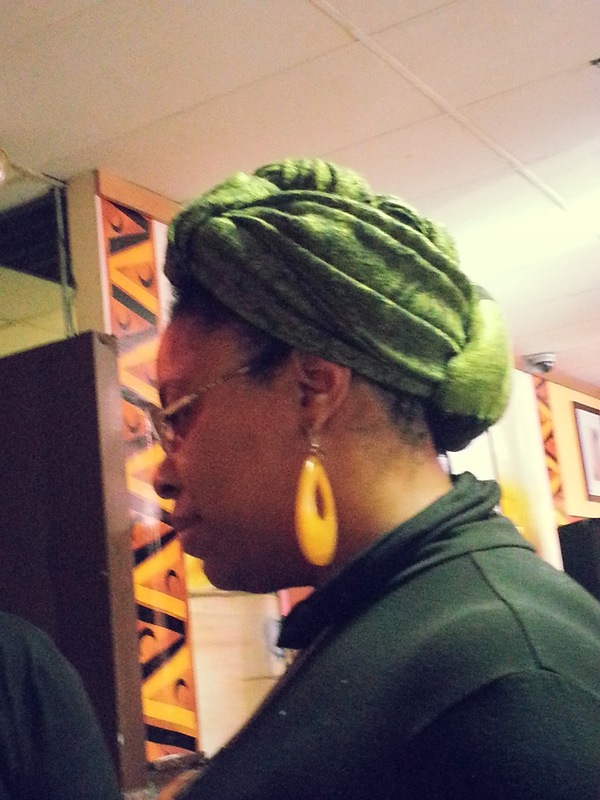 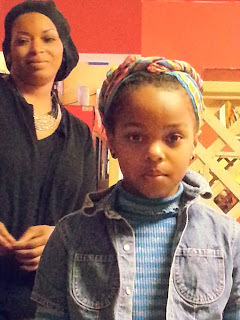 Imani introduced herself and explained to us the reason behind the scarf workshops. 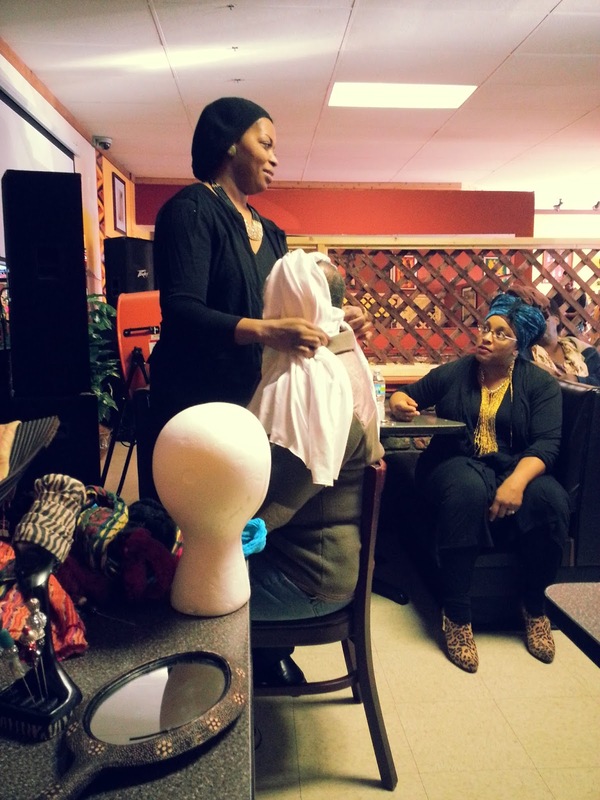 Throughout the workshop she would ask for volunteers and demonstrate various styles. 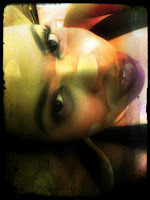 I must say I was quite excited to see them and also be a model. 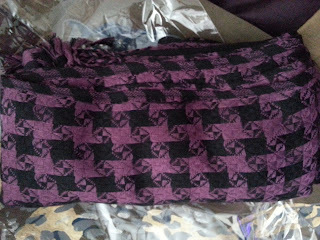 We also learned about the different styles of scarves with the various textures. 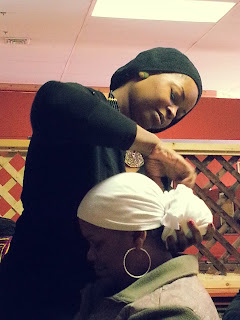 The various lengths and what can be achieved. 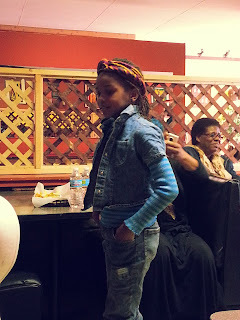 We also were able to see styles that were suitable for young ladies as well. 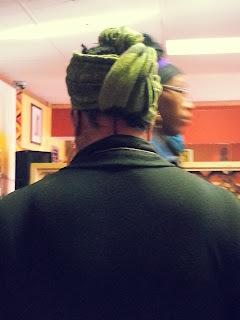 Including a technique for using a t-shirt as a headdress. The style she did on me was quite easy and I will definitely try to replicate with my own scarves. This style she did on this model I have done on myself as well. 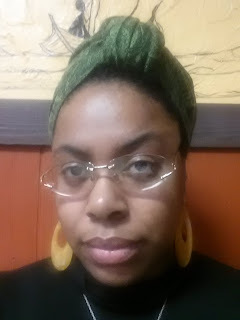 Heck it is the only style I know up until now. 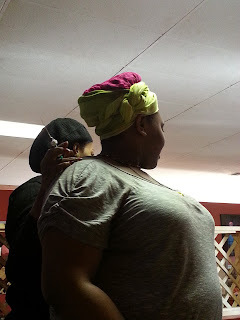 Now this style was very interesting to me because she actually put a "stuffer" peice in the bun area to give it more lift. 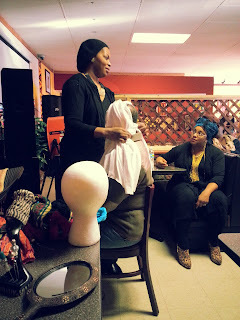 It's amazing when you add a certain type of scarf that you can make the presentation more or less formal. 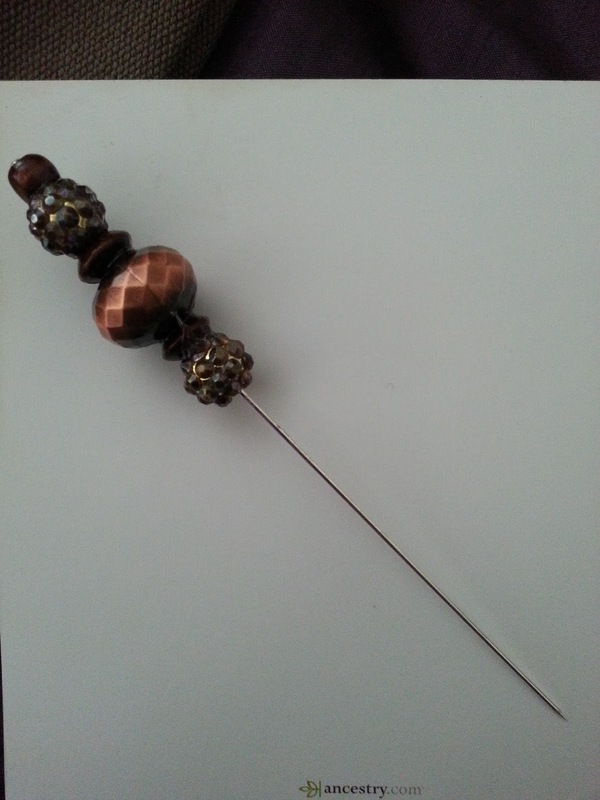 These are just a few of the hair pins that can be used to hold your styles in place. 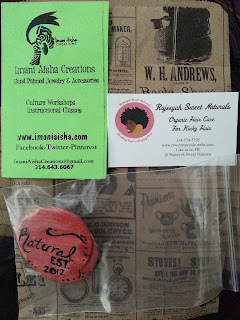 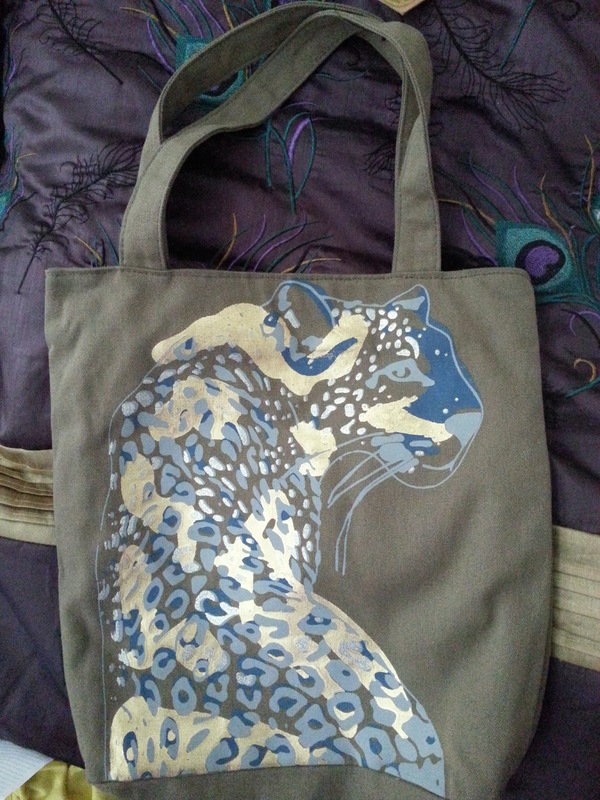 Imani had these as well as others for sale. 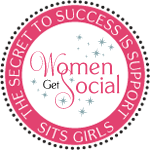 Another interesting point I want to share is that with this being hosted by a small business I thought it was great it also allowed others with small business to show their platforms as well. 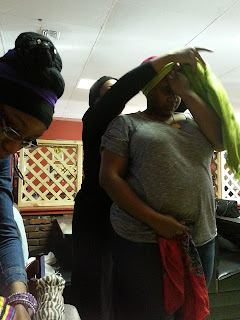 There was one lady by the name of Rajeeyah who has her own line of hair care products and another lady who specializes in fitness for women, more geared towards those of a curvier shape. 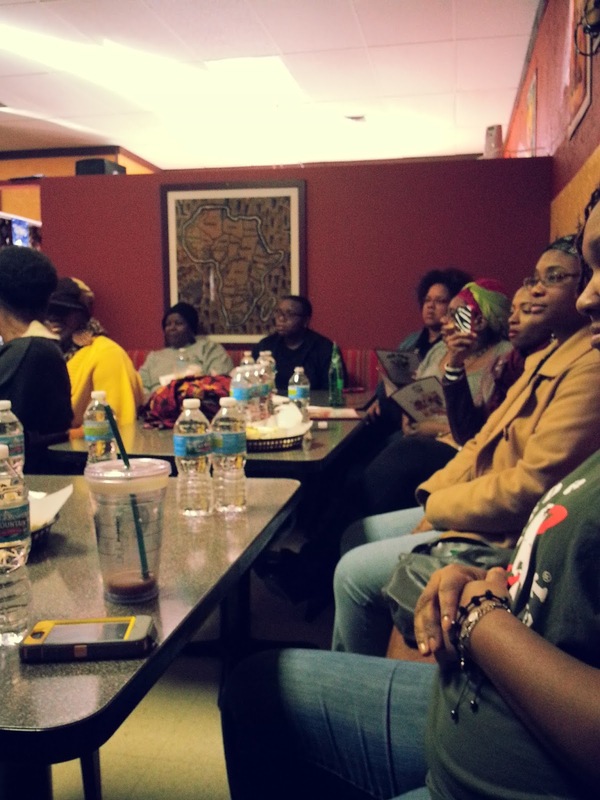 Yet all are welcomed to join. So I left the workshop around 5pm and I must say I had a blast. 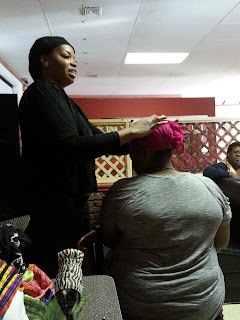 I really had a good time and felt I did learn some great tips. 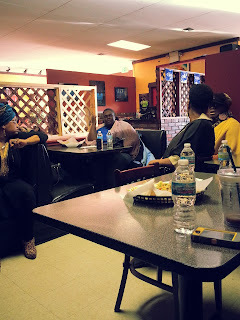 I look forward to the next meet up which is scheduled on May 25th. 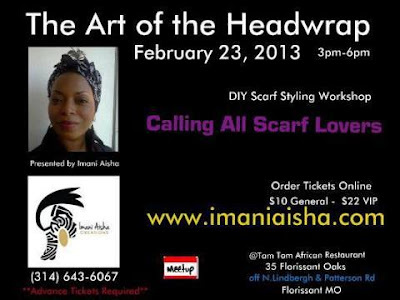 Hopefully I might interest a few friends to come along.